An excursion to the Gobi desert, to the Altai Mountain Chain in the west and to the Khangai Nuruu Mountain Range including the hot springs of central Mongolia. Arrival in Ulaanbaatar/Chinggis Khan Airport and transfer to the hotel, short break, city tour: Gandan Monastery and the National Museum. After lunch in the city, Choijin Lama Temple Museum, dinner in hotel. Today we drive to the Baga Gazriin Chuluu Mountains, which arise pictorially out of the flat landscapes. Stay overnight at ger camp. In the morning visitation of temple ruins, continuation of our trip in south direction to the famous riparian ruins of Ongiin Khiid Monastery. Stay overnight at the ger camp. Continuation of our trip in south direction to Bayanzag (rich in saxaul), famous for dinosaur fossils, walking to the Flaming Cliffs, visit to camel breeding nomads, overnight at the ger camp. 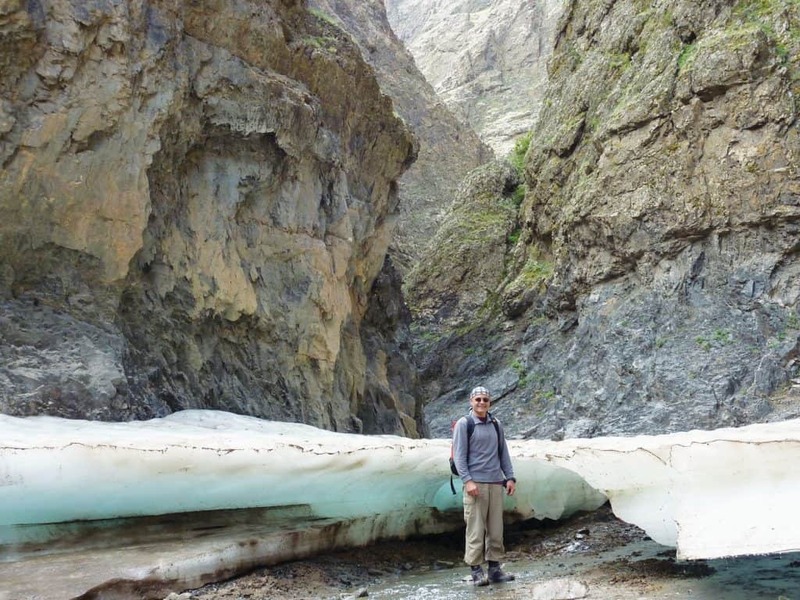 Continuation of our journey to Gobi desert, we visit the impressive Vulture Gorge “Yoliin Am” in the Gobi Gurvan Saikhan National Park, where we hike along the spectacular lump of rocks. Furthermore we continue our trip toward Khongoriin Els, one of the largest dunes of Mongolia, on the way we stay overnight in tents. Today we arrive at Khongoriin Els. You can take the possibility to ride a camel and gain experiences about the workday life of camel breeding families, stay overnight at ger camp. We drive directly in north direction over the Altan Amin Davaa Pass and admire the beauteousness of the different mountain tops of Arz Bogd range, such as Ukhant Yagaan Uul and Ikh Bayan Uul. On the way the village Bogd, overnight stay in tent. Today we drive in west direction. Moreover we visit the villages of Gobi Bayanlig and Bayan-Gobi and stay overnight in tent close to Bayan Gobi. Continuation of our trip to village Chandmani in province Gobi-Altai, stay overnight in tent. Arrival at the provincial town Altai, visitation of the local museum and stay overnight at the ger camp close to the town. In the morning we drive to the largest dune of Mongolia Mongol Els. Stay overnight in tent. Drive toward provincial town Khovd, on the way we visit the village Chandmani, which is famous for overtone singers. 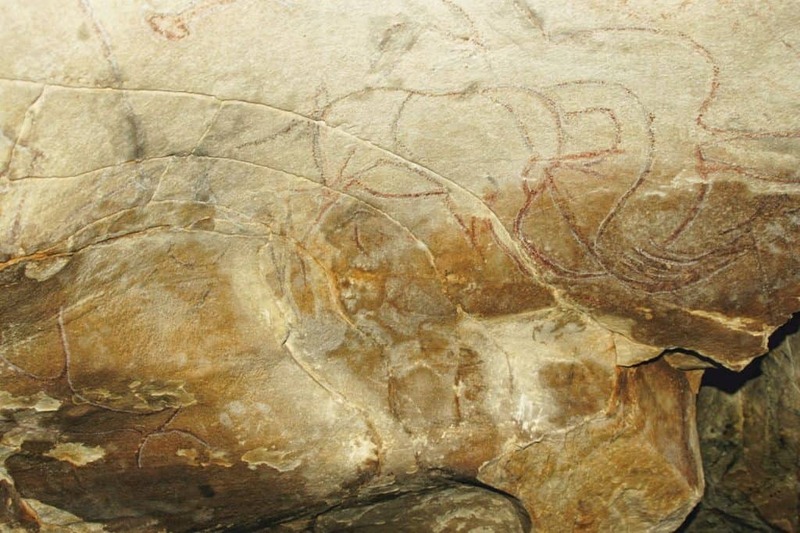 Furthermore sightseeing of Tsenkher canyon and the international known cave-paintings. Stay overnight in tent. In the morning we start travelling back to the east, visiting the villages Myangad and Durgun on the way. Stay overnight in tent. Continuation of our trip to the hydro-electric power station Durgun, furthermore you experience something about environmental protection of Mongolia. Finally stay overnight in tent surrounded by the picturesque countryside. In the morning arrival at the provincial town Uliastai, visitation of the provincial museum and stay overnight at hotel. 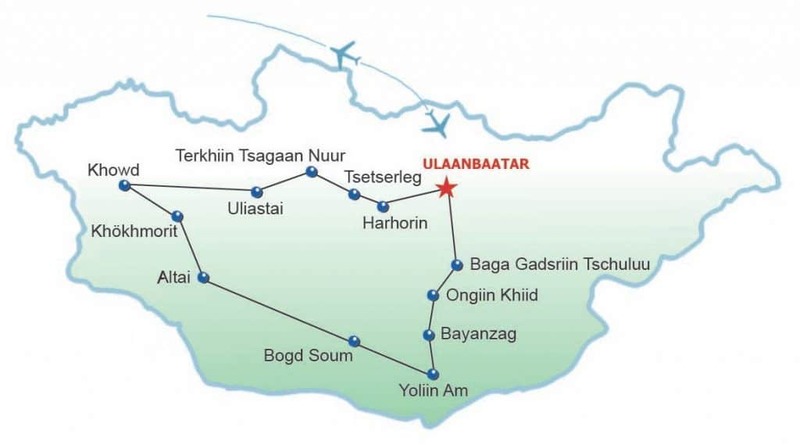 Today we visit the village Tosontsengel, where the coldest point of Mongolia is located. Stay overnight in tent. Tour to the lake Terkhiin Tsagaan Nuur, which is pictorially embedded into the volcanic landscape. Hiking to the volcanic crater Khorgo and stay overnight at the ger camp. In the morning trip to the provincial town Tsetserleg (flower garden), lunch at café of English missionaries, afterward we continue our trip toward east, until we reach the hot spring Tsenkher, in the evening hot bath, stay overnight at the ger camp. In the morning tour to Kharkhorin, the historical capital city of Mongolia, visiting to the monastery Erdene Zuu (World Heritage Site), stay overnight at the ger camp on the shores of Orkhon River. Return to Ulaanbaatar, farewell dinner with folklore and stay overnight at a hotel. In the early morning transfer to the airport and departure.